Alexander Harrington directed the premiere of Douglas Lackey’s "Daylight Precision" in 2014. He has directed at New York theaters including Metropolitan Playhouse, La MaMa, The Culture Project, Queens Theatre, and The Actors Studio, regionally in Maryland, New Hampshire, the Catskills, North Carolina, and New Jersey, and at Bentley, Clemson, and Louisiana State universities. He founded and served as artistic director of The Eleventh Hour Theatre Company and served as 2012 artistic director of the student ensemble at HB Studio. He wrote and directed a two-part stage adaptation of Dostoevsky's The Brothers Karamazov, adapted and directed Chekhov's short story "The Kiss", "The Philosopher” chapter from Sherwood Anderson's Winesburg, Ohio, translated and directed Aeschylus' "Agamemnon" and wrote" The Great Society" about Lyndon Johnson (not to be confused with Robert Schenkkan’s play of the same name on the same subject). Two of his passions as a director are Shakespeare and classical tragedy. He has directed all the plays in Shakespeare's major history cycle (Richard II; Henry IV, Parts 1 &2; and Henry V) and adapted the four plays of the minor history cycle (Henry VI, Parts 1,2, & 3, and Richard III) into a single play, which he directed, as well as directing "Much ado about Nothing," "Measure for Measure," two productions of "Twelfth Night," a second production of "Henry V" and a program of scenes focused on the women of the history plays. Richmond Lattimore's translation of "Agamemnon," Seneca's "The Trojan Women" and "The Burial at Thebes" (Seamus Heaney's adaptation of Sophocles' Antigone). He has developed and directed the premieres of plays by Kathryn Canty (nee Sanders), Joe Robertsson, Edward Einhorn, Lella Heins, John A. Adams, William Fowkes, Agnes Garrett, TJ Edwards, Douglas Lackey, Steve Kalvar, Nina Howes, David Vasdauskas, and Sergio Castillo. As a scholar and critic, his work has been published in Dissent magazine; First of the Month; Upstart Crow; and Shakespeare Criticism, Vol. 89; and Literary Themes for Students: War and Peace. 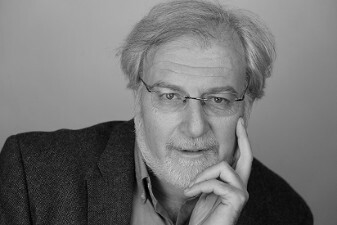 He contributed an essay on political theater to the anthology New Threats to Freedom published by Templeton Press, for which David Mamet and Christopher Hitchens also contributed essays. Watch video interview with playwright Douglas Lackey and director Alexander Harrington.